The usage and exposure of mobile phones is higher among college students. As one of the leading educational institute, the college management had the requirement before the two months of new academic year starts their goal is to procure 100% student admissions. The primary challenge is to reach out to the maximum number of targeted students who are aspiring to take admission in the starting of new academic year. The sms should also include Images, Audio and Video that will help the students know about the college in a more better way. SMS Striker after understanding the requirement of the educational institute have suggested the usage of following. You can measure ROI on your campaigns and strategically plan well your marketing strategy. SMS services helps to update customers with discounts and latest offers and also helps to communicate with the dealers. When it is a matter of reliability, Text messages are more reliable than emails. For example placing any order, tracking the information related to the order and also to gather the response and the feedback. The students now give missed call to the provided number and missed call reaches to the database and saved. The Phone numbers that are stored in the database are used by the college management in calling students and explaining the details of the college further. When the SMS is received by the students with a Short URL in it, the student clicks on the Short URL he or she has the option to listen audio, watch Video and also to fill the enquiry form of the college. As the targeted students received communication through both SMS with missed call and SMS with Short URL, there was huge response from them, who were eager to know more about the college. 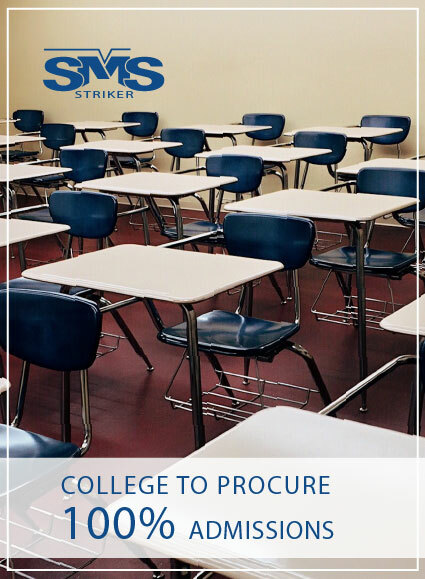 The innovative and trending features of SMS Striker helped the college management to get such a tremendous response in a short period of time and wherein the queries received by the students were converted to admissions by the college management.